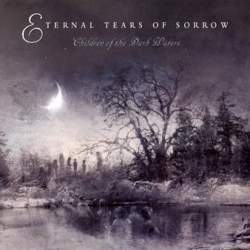 Eternal Tears Of Sorrow from Finland were founded already back in 1994, making them one of the more seasoned bands in the metal scene. The six musicians have released a new album every two or three years, with occasional line-up changes happening in between. Children Of The Dark, their sixth longplayer, offers a pleasant mix of gothic and melodic death metal. The album starts with Angelheart, Ravenheart, showing the band from an incredibly dark side due to deep growls. Keyboard and guitar keep a balance, a somewhat typical trademark of Finnish gothic music. This is followed by songs that delve into mid-tempo territory, drawing parallels to Amorphis. Summon The Wild contains even a few hectic moments, making for a welcome variation. The slow Sea Of Whispers chooses an opposite route by integrating melodic female vocals. This track has become quite a success on the Finnish radio stations, which explains why the album ends with an acoustic reprise of their hit. The second half of the album is more agitated, with When The Darkest Night Falls even daring a short journey into the symphonic black metal genre. Nocturne Thule is melodic symphonic metal that could be used for further airplay fodder. Children Of The Dark Waters is anything but a bad album and contains a lot of strong moments. Yet I am slightly disturbed by the often abrupt stylistic changes between dark and melodic parts, which makes it hard to get access to the music.